You can help create a green campus: Use recycling stations to sort your recyclables, returnables, and compost material into the proper bins. To prevent contamination and subsequent landfill disposal of recyclable and compostable materials, please keep all plastics out of the yellow compost bins and all liquids and food material out of blue recycling bins. * Download a printable copy of the Sorting Guide here. 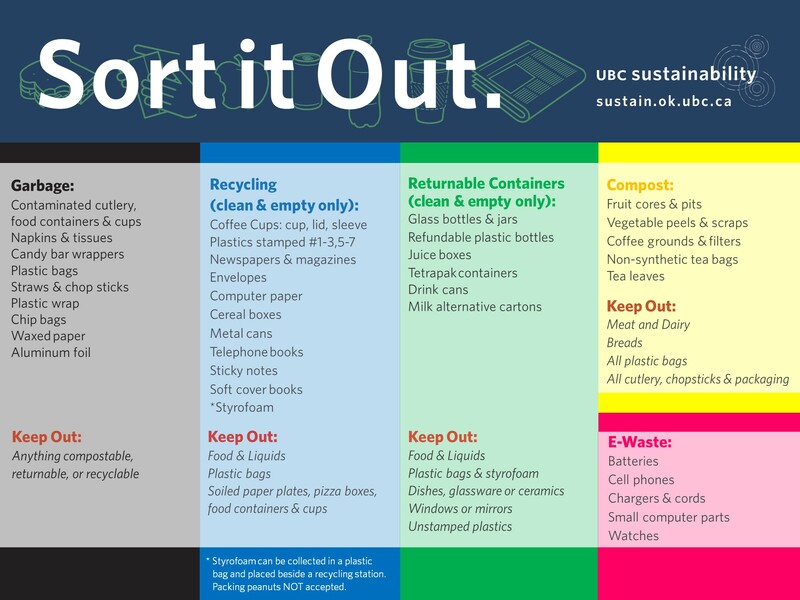 Refer to the A-Z Recyclepedia for a complete guide of items recycled on UBC’s Okanagan campus.